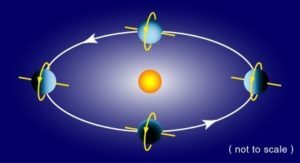 The following article by Dr. Michael Salla presents compelling evidence for the tilting of planet earth 90 degrees on it’s axis, just as channeled by Allen Michael in the Everlasting Gospel. I have compiled the relevant passages so we can round out the big picture of how and why this was done. Enjoy!